We LOVE Captain Writewell and his battle against the Spagorians at Highlees Primary! He is helping our children to work together to improve their literacy writing. With everybody's help, we can defeat them! 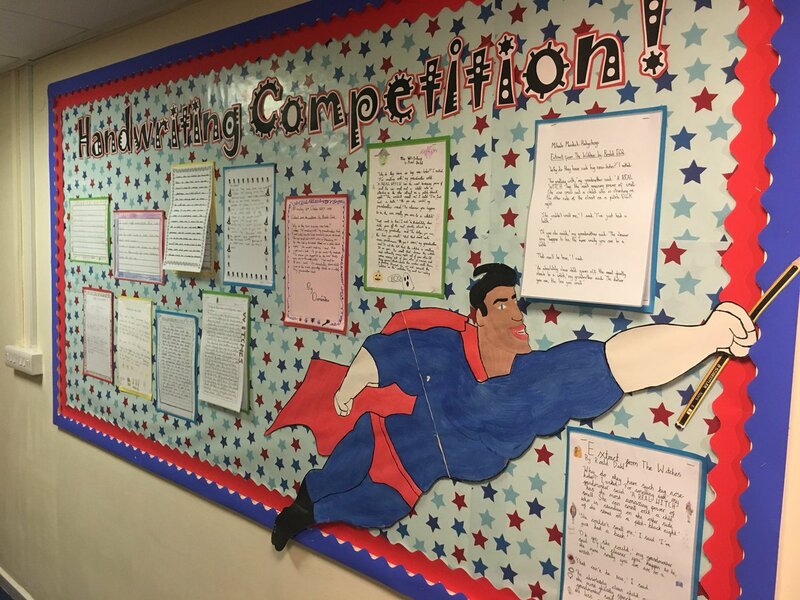 Each term, Captain Writewell will decide which children have the best handwriting and display their work in school!